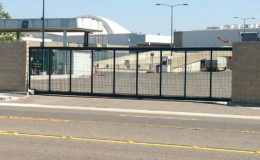 This set of 5 gates for the Anaheim convention center varies in width from 20ft to 26ft from weights ranging from 1500lbs to over 2000lbs. 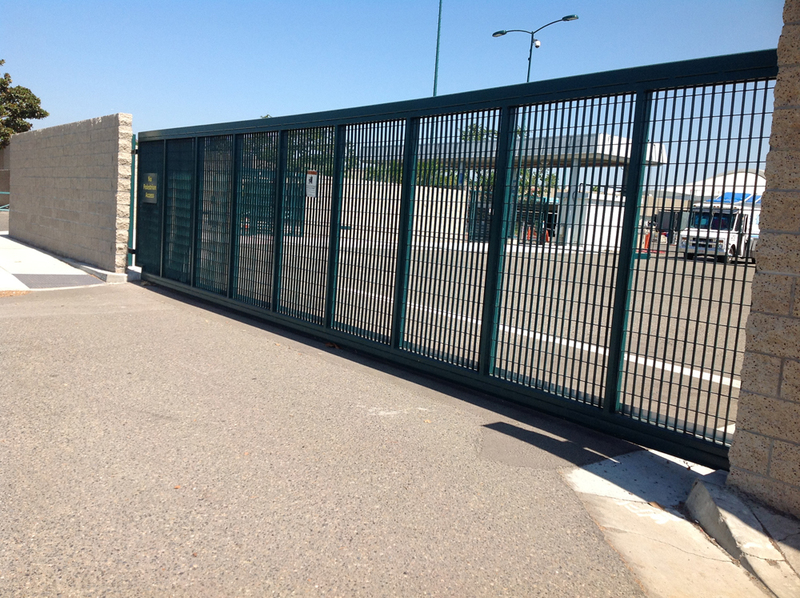 The high traffic area needed reliable and strong gate hardware. 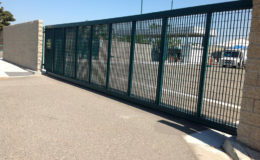 The architect on the project then specified DuraGates hardware. 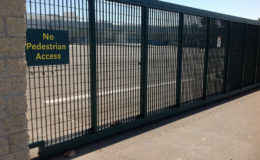 For extra security the gates needed to be very close to the ground. 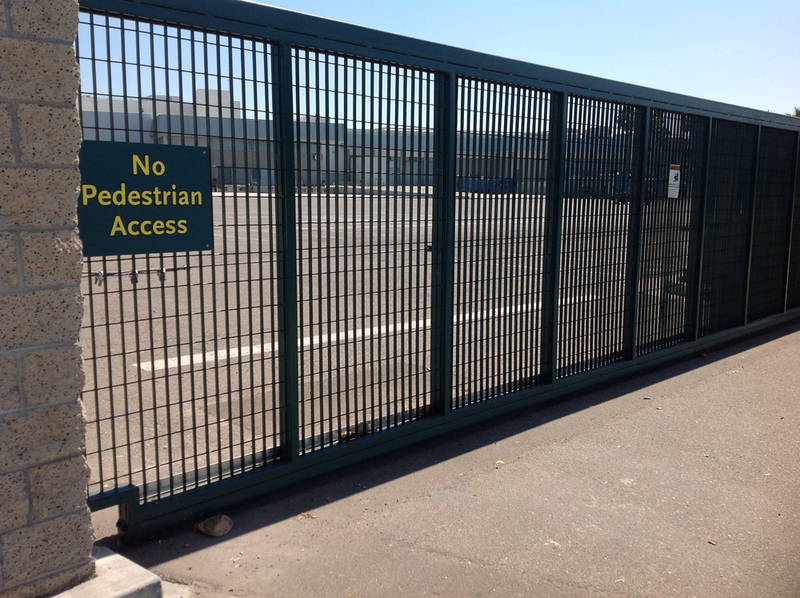 The model used on these gates is CGS-350.8P. 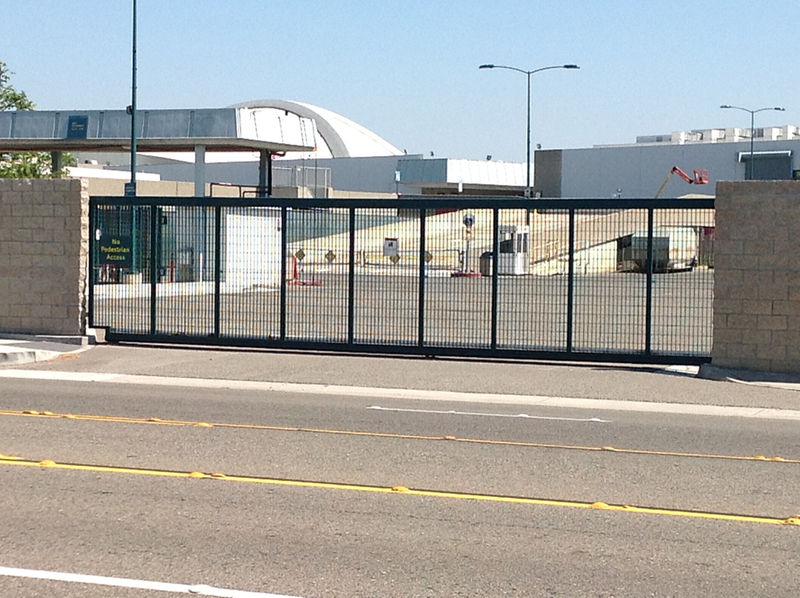 The gates were built directly on the track. Couple of the gates even have a slight slope on the driveway.